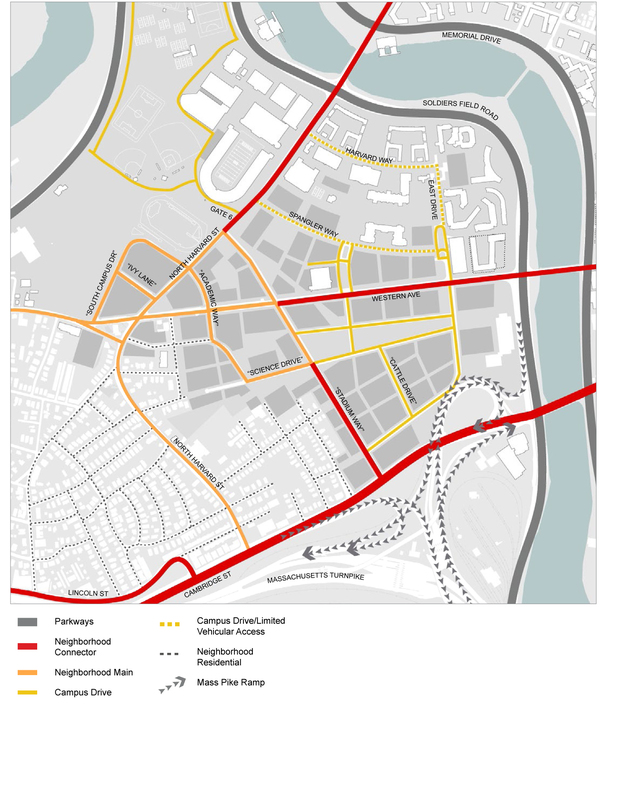 Harvard's long-term vision of pedestrian circulation in Cambridge and Allston envisions a series of blocks arranged like the rungs of a ladder. 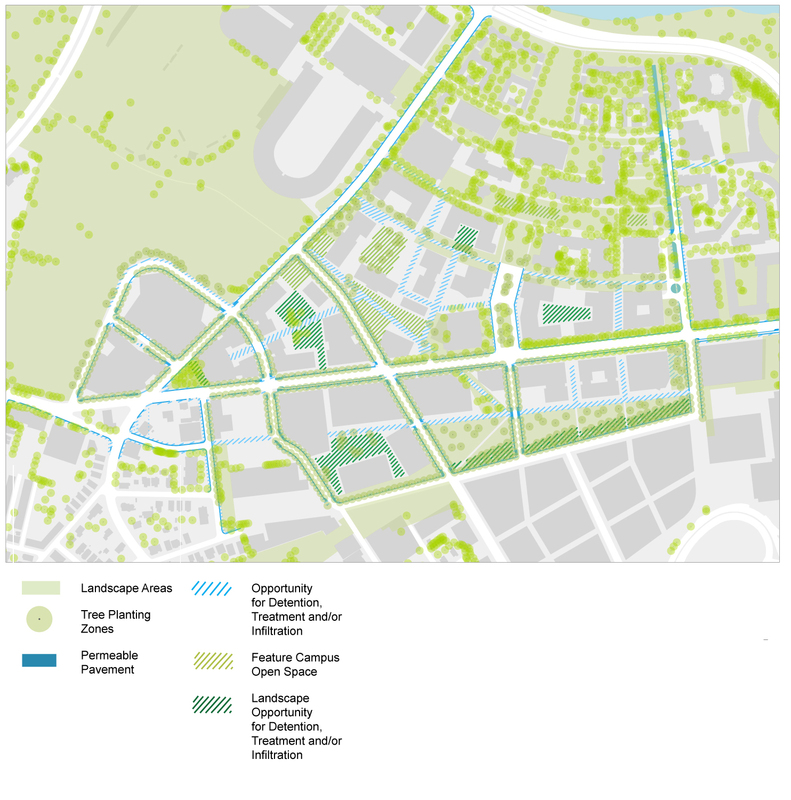 Harvard's long-term landscap-concept plan also shows pedestrian walkways and the envisioned “urban forest“ canopy. View additional images of Harvard’s IMP plan. 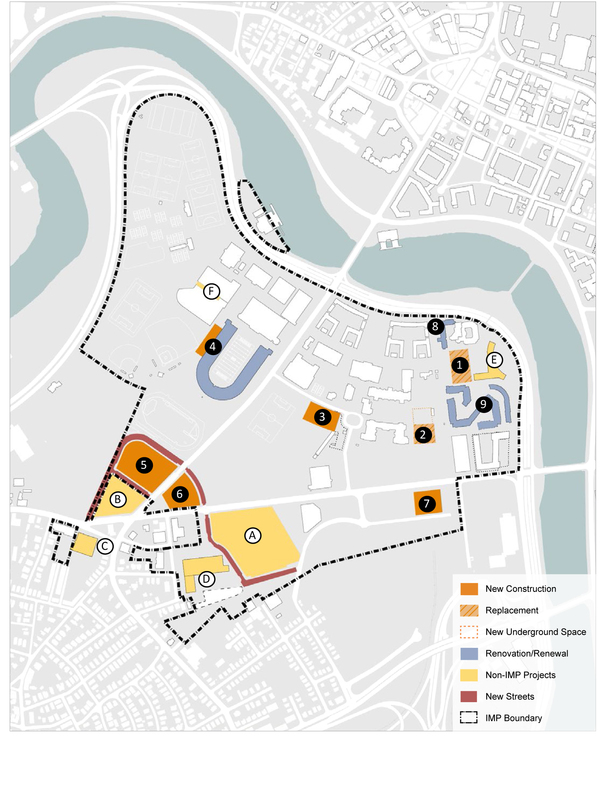 The University’s new 10-year Institutional Master Plan (IMP), filed with the Boston Redevelopment Authority (BRA) in late July, details nine projects totaling 1.4 million square feet for Harvard’s expanding campus across the Charles River in Allston. Among them: an addition to Harvard Stadium that will include indoor seating and office space; a new, larger, basketball gymnasium; a 150- to 250-room hotel/conference center located on Western Avenue across the street from Harvard Business School (HBS); and various renovations and additions to HBS’s campus, such as a new auditorium for Burden Hall, faculty and administrative offices, and renovation of the adjacent Soldiers Field Park housing complex. 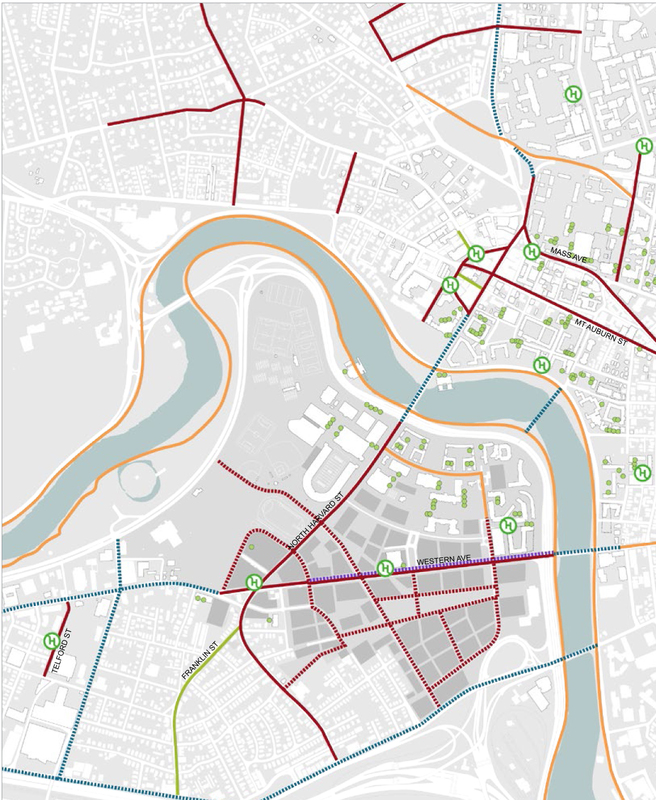 A preliminary form of the IMP submission, including these projects, was unveiled in October 2012 as a basis for community discussion and negotiations. 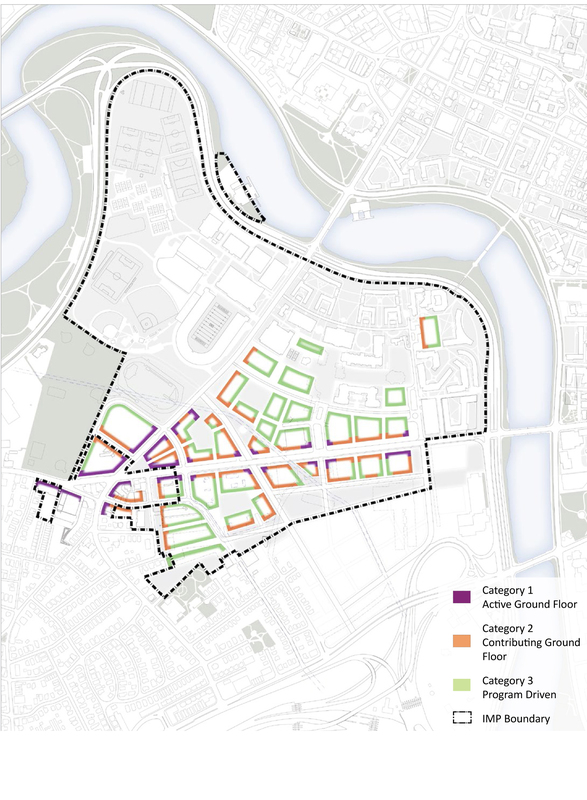 Several of the proposed projects have since expanded in estimated square footage. 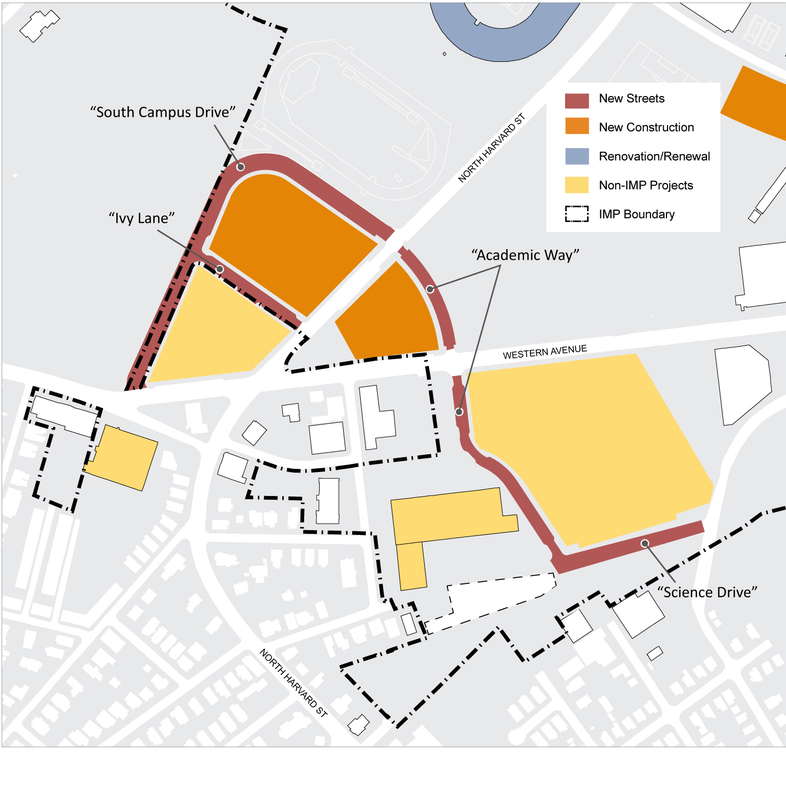 Retail and institutional-affiliate and/or graduate-student housing space associated with construction of a new basketball pavilion, for example, has increased the project size from 200,000 to between 270,000 and 340,000 square feet. The demolition and replacement of Burden Hall (designed by renowned architect Philip Johnson ’27, B.Arch. ’43), will now run to 140,000 square feet. The “gateway” administrative office building closest to Barry’s Corner, nearest the intersection of Western Avenue and North Harvard Street, has expanded from 200,000 to 300,000 square feet. 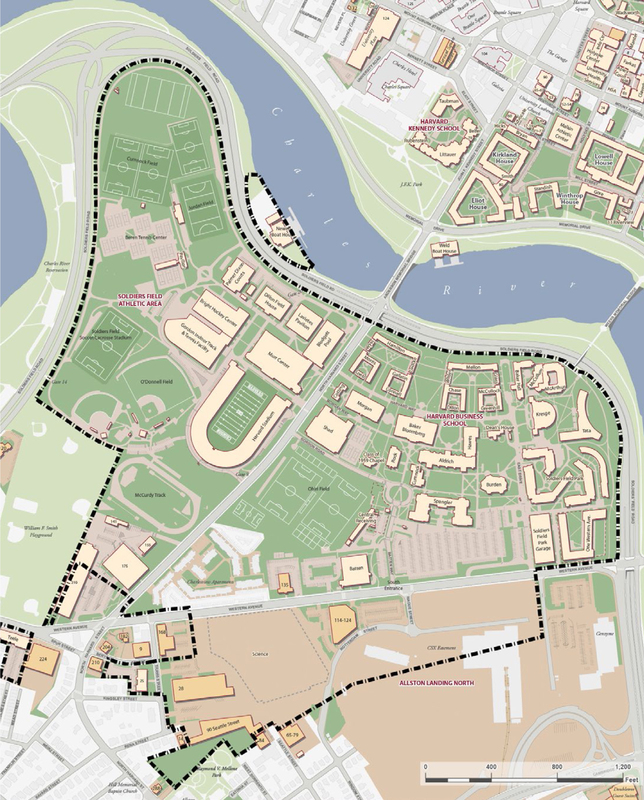 And a slightly larger renovation of and addition to Harvard Stadium, it is now reported, will result in a net reduction of approximately 8,000 seats. These projects, together with Allston campus work already underway or approved (including a science complex now designated as a new home for the School of Engineering and Applied Sciences; a campus-services facility at 28 Travis Street; and the Barry’s Corner housing and retail development slated for groundbreaking later this year) will result in the creation of 2,350 construction jobs, according to Harvard’s estimates. 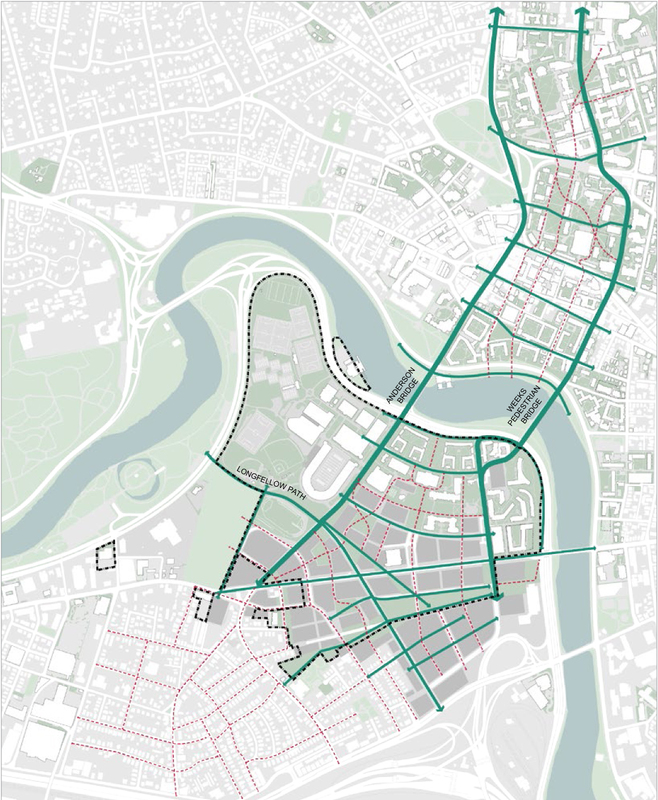 The IMP also sketches Harvard’s long-term vision for its Allston campus, which—while in no way binding—would in future decades transform the area from paved, vehicular-oriented, industrial and commercial uses to others that promote the typologies of Harvard Square and its environs, with walkable green spaces, numerous transit options, retail districts centered on road intersections—and, of course, permeable, shady quadrangles with many substantial academic buildings. 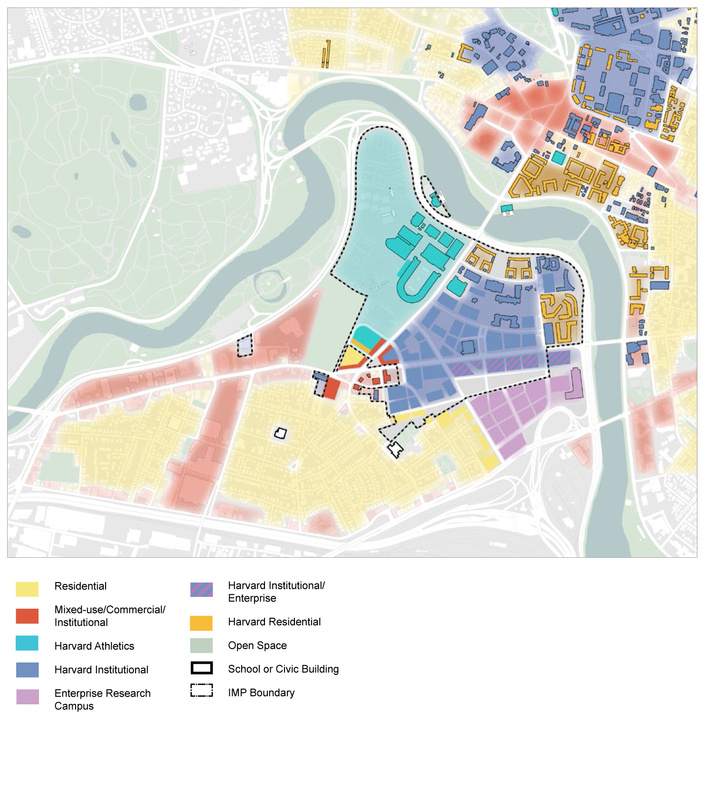 “This comprehensive plan will expand Harvard’s academic presence in Allston and build upon the shared goal of extending community programming, improving infrastructure and the public realm, and creating a new nexus where campus and community meet,” said a news release from the office of executive vice president Katie Lapp, who oversees Allston work. 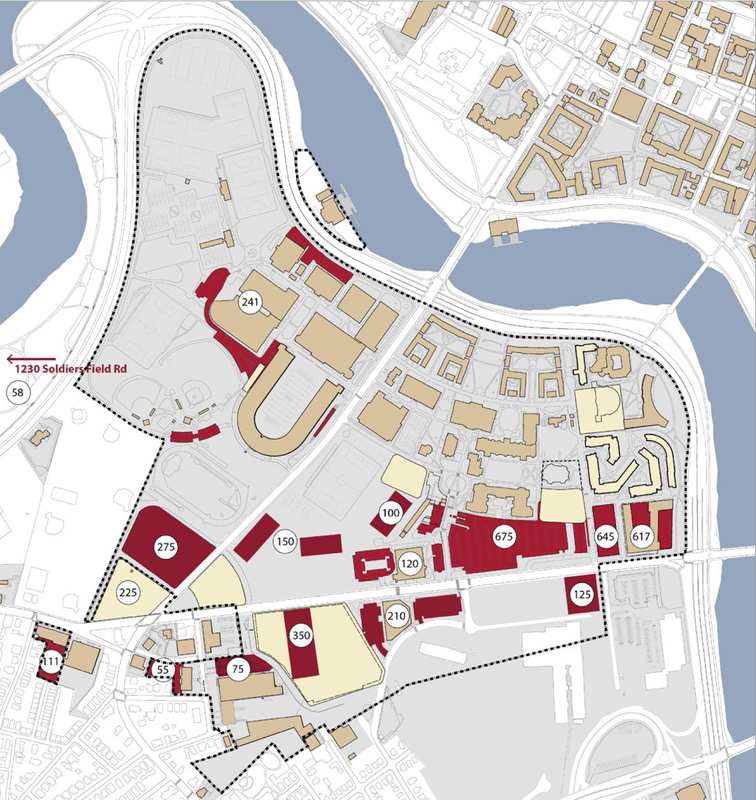 “The plan includes…projects that support academics, research, executive education, assembly, office, hospitality, retail, culture, and housing.” University officials hope to gain BRA approval for the projects sometime this fall. Some Harvard-Allston Task Force members have expressed concern about Harvard’s plans: they worry that the Barry’s Corner project will not become the community hub the University is promising; that the new development will increase traffic in the area; and that the new parking lots, particularly on North Harvard Street behind the proposed “gateway” administrative office building, will be unsightly. “For 15 years this has been held out by Harvard and the city as being this wonderful, thriving town center of our community which has never had such a town center,” said Task Force member and longtime Allston resident Harry Mattison in a recent interview. 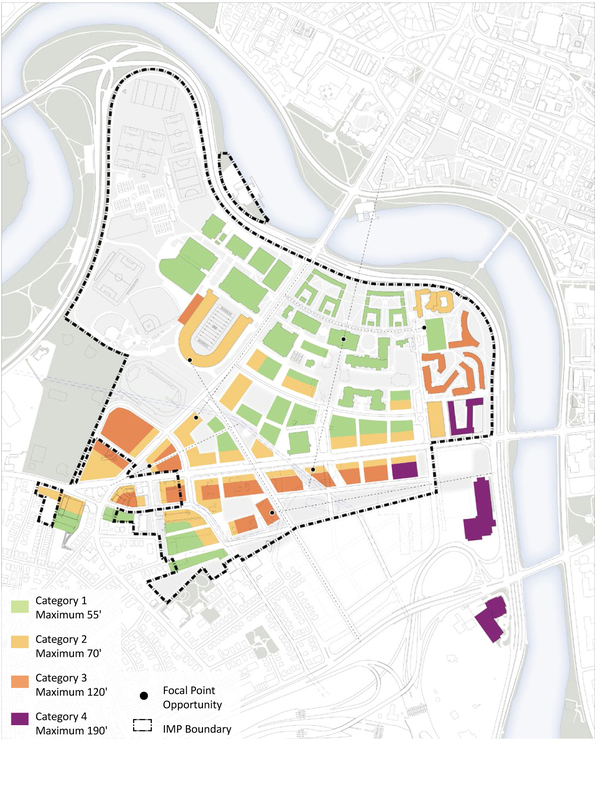 “Harvard’s idea of Barry’s Corner is a basketball arena, some sort of office building, a giant parking lot….None of those things are going to make this area great. None of them will make this area even good.” Residents have asked Harvard, before construction, to address questions about retail and cultural amenities, transportation (including residents’ use of the Harvard shuttle service), parking, housing affordability, and public-space planning, as well as about promised “transformative community projects,” slated for discussion in August meetings as this magazine went to press.